These bags are classified as due to faulty radio. The inbuilt AM/FM radio may or may not working. 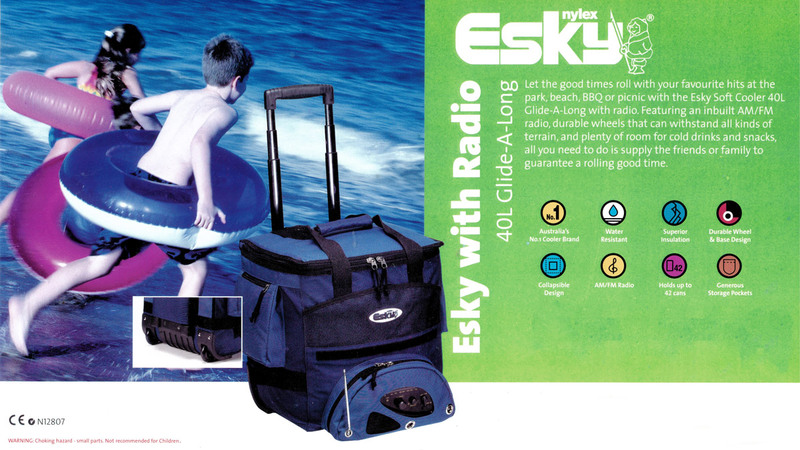 Let the good times roll with your favourite hits at the park, beach, BBQ or picnic with the Esky soft Cooler 40L with wheels. Featuring durable wheels, storage pockets, collapsible design and plenty of room for cold drinks and snacks, all you need to do is supply the friends or family to guarantee a rolling good time.